When you ship or store fragile items, protective wrappings are necessary to keep them intact and safe from damages. Polyethylene packaging products are used for many business applications which is mainly for protection purposes of delicate items. Bubble packs are one of the most indispensable polyethylene products in shipping companies. Bubble wraps in Boston, MA offer various sizes and thickness options to serve varying business requirements. They are inexpensive and comes in rolls, sheets and bags for easy and efficient dispensing of the material. Bubble wraps provide an excellent protection because of its air-filled pockets that serve as a cushion while maintaining the item lightweight for a low freight charge. Moreover, bubble wraps support the campaign for a greener environment. In fact, there are biodegradable bubble wraps that break down in landfills and the soil can completely absorbs them. These eco-friendly polyethylene products are now up for grabs in the market. 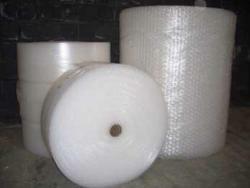 Contact Atlantic Poly for high-quality bubble wraps and other polyethylene packaging products.